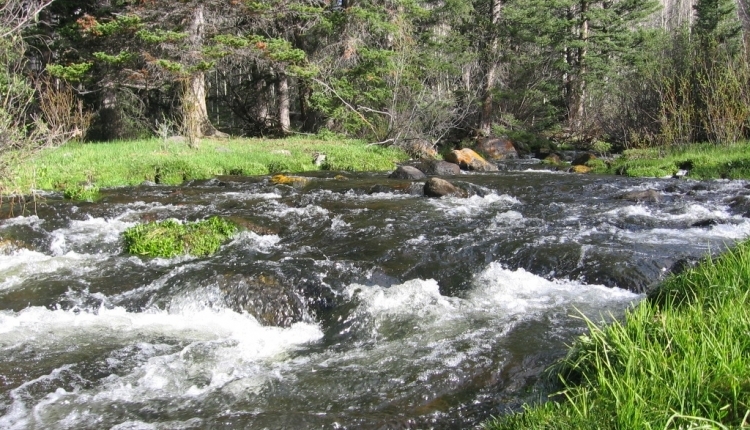 If you object to the poisoning of Boulder Creek, please add your name to this petition. We drink this water, we irrigate with this water, and we cherish this water and the ecosystem it enlivens. The Utah Division of Wildlife Resources (aka Utah DNR) and U.S. Forest Service poisoned the East Fork of Boulder Creek with rotenone in 2009 and intended to continue, until local residents' protests stalled their project. The plan is in place again, now, with the goal of killing ALL trout in the water in order to clear the way for establishing a population of the Colorado River Cutthroat Trout (CRCT). All fish currently in the water (including some CRCT), as well as organisms the fish depend on to survive, will die when rotenone is applied. Please note that rotenone is linked to Parkinson's Disease, and has long-term impacts on ecosystems. Also please be aware that the goal of this project is to establish the Colorado River Cutthroat Trout - but populations of the CRCT are already well-established in other waterways. There is no need to poison Boulder Creek to ensure the survival of the CRCT. The use of rotenone to eliminate "invasive or unwanted" species of fish is currently standard practice in fishery management in the United States, although rotenone is prohibited for agricultural use (and prohibited for ANY use in other countries) because of its harm to human health. We, the undersigned, object to the use of rotenone and any other poison in Boulder Creek. We object based on the ecological and human health effects of rotenone as well as its carriers and neutralizers. We object based on the strong conviction that fresh, clean water in a thriving ecosystem should never be poisoned. We are aware that the Federal Energy Regulatory Commission (FERC) has required Garkane Energy Cooperative, who runs Boulder Town's hydroelectric plant, to support this CRCT reintroduction plan. We believe Garkane should not be required to be involved in poisoning a waterway when the local community strongly objects. We support Garkane's licensing agreement being amended to relieve them of this unacceptable obligation. We ask that Boulder Creek be removed from the list of waterways chosen for Colorado Cutthroat Trout reintroduction, unless and until a completely non-poison alternative for removal of current fish populations is designed. The No Rotenone Poison in Boulder Creek petition to Utah Division of Wildlife Resources; U.S. Forest Service was written by Leilani Wong Navar and is in the category Environment at GoPetition.